Pop art is one of those movements that became cool as soon as it hit the scene. Out of that movement came huge paintings inspired by the dramatic comics of that time. Future forward artists took the dramatic scenes that the Sunday comics had been printing for years, blew them up to gigantic sizes, and changed people's taste in art for good. And then someone took this process to the next step by dressing up as one of those iconic paintings. Genius! Art imitating art imitating art. And we're having a great time while we're at it! So don't hold back this Halloween. 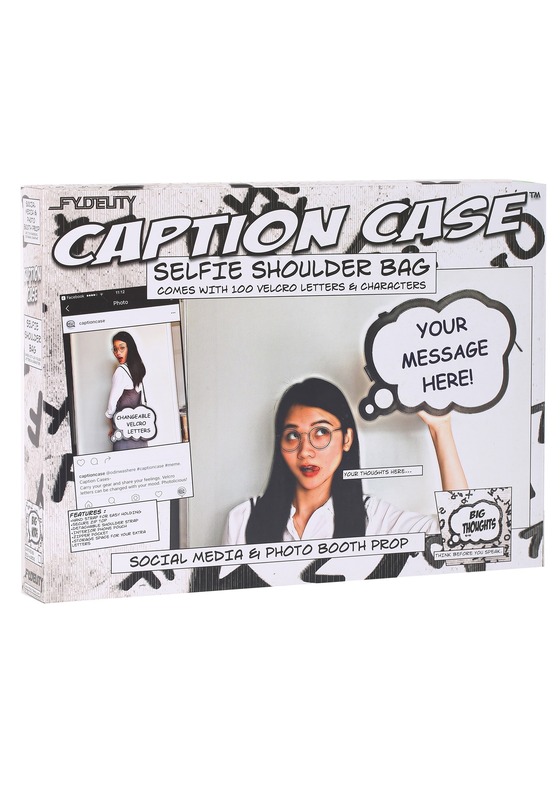 If you're doing that pop art style, pay homage to that simple comic heritage with this interactive speech bubble purse! No need to keep your thoughts to yourself when this bag is on hand! Write stuff like, "Oh tacos, I love you too but. . . " or "Great costume!" with the hook and loop backed letters. Whether you're using this while costumed or while visiting a modern art museum, you're sure to love being a part of this modern art style!